Size of baby: 6.5 inches, 10.6 ounces. Baby H is the size of a cantaloupe. 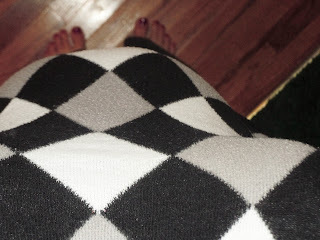 Maternity Clothes: Usually that. Or sweats. Gender: Nothing confirmed, but I am feeling BOY! Movement: getting a little stronger (and higher) each day. Love it! Cravings: just about anything bad for you. Things loaded with salt, cookies, doughnuts, etc. Best Moment this week: Seeing our little peanut. Baby is so precious, and we are so beyond blessed to have a healthy little one! What I am looking forward to: 24 weeks is my next goal (I'm weird like that).